This was actually the first book I started reading on my Kindle! I have not gotten used to reading e-books yet, but this one came to me in Kindle form first and I was so excited to start reading it. I was thankful again when the book arrived in the mail just a couple of days ago! Loved that I could get a jump start on reading it, but this is one of those books you will want in hard cover! The photos and scripture quotes are just gorgeous and this book will be one that sparks conversation around your living room. Christmas has become controversial. The past couple of years you hear Happy Holidays and Season's Greetings more often than you hear Merry Christmas. You hear those especially at the stores as you are shopping for 'Christmas' gifts. The employees being asked specifically not to mention the C word. What??? We have often been 'different' in our celebration of Christmas. We do not have a jolly old elf visiting us. There will be no visual sign of anything fairy tale like. No flying reindeer, no elves, no symbols that we sense don't directly reflect the true meaning of the holiday. That is just what we chose to do as a couple before we had children. Among Christians there is much controversy as well. Are Christmas trees in fact pagan in history? Why celebrate the date as specifically Dec 25th when historically that was probably not right? We have some Christians going so far away from the celebration that they may even seem to not be Christians at all. And what about those who celebrate it and want nothing to do with Christ? I can see the controversy on all sides can't you? 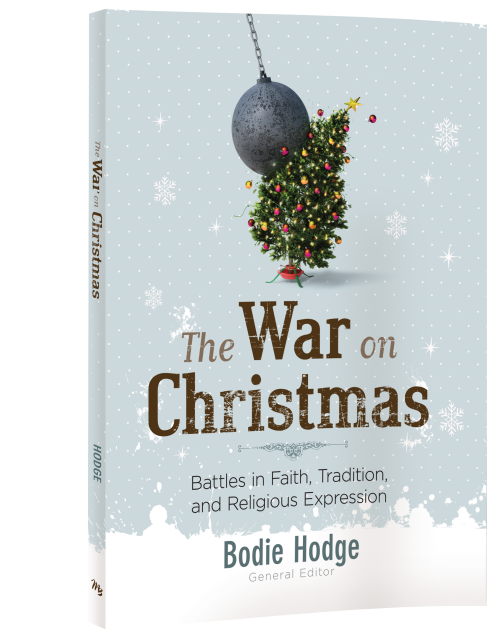 Bodie Hodge has done a great job digging into some of these questions of Christmas, and bringing the truth into light. There are beautiful photographs, decorative artwork, and inspirational words that make this a great read this fall season as we approach Christmas. "There are more Christian resources avalable in the U.S. today than at any time in history- yet for all of that, America is becoming less and less Christian every day. 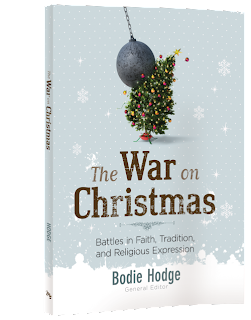 The battle over "Christ" in Christmas is a sad example". It isn't just Christmas that is being attacked, it is Christianity. Christmas is an opportunity for Christians to share the good news of the gospel with a fallen world. 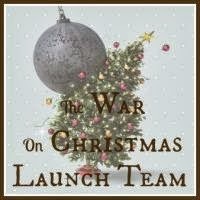 To see Christmas through the eyes of a Biblical Worldview, rather than what the world is trying to make it. You will love the history in this book, and the exhortation to stick firmly to truth!